Teaching with love and logic. Melissa was the facilitator. 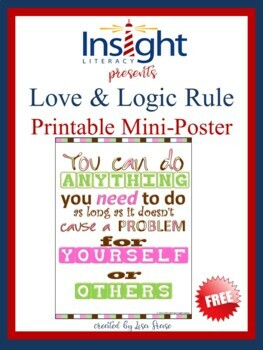 Handouts from Love and Logic What others are saying "act don't REact This handout is a valuable reminder for me, but it's important to have a complete understanding of the "Love and Logic" philosophy in order to get the full benefits of the info." Teachers often find themselves facing a variety of classroom situations never covered in initial training. This valuable resource helps teachers increase skills, enhance professional development and maximize classroom learning time.